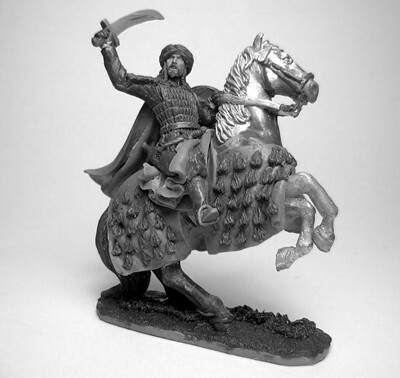 Mounted Saladin. Hero of The Crusades for the Saracen faction. Rules for Saladin feature in SAGA The Crescent & The Cross.